Oh my! How quickly Christmas came and went! I hope you have all had a wonderful Christmas and are looking forward to a great 2015! 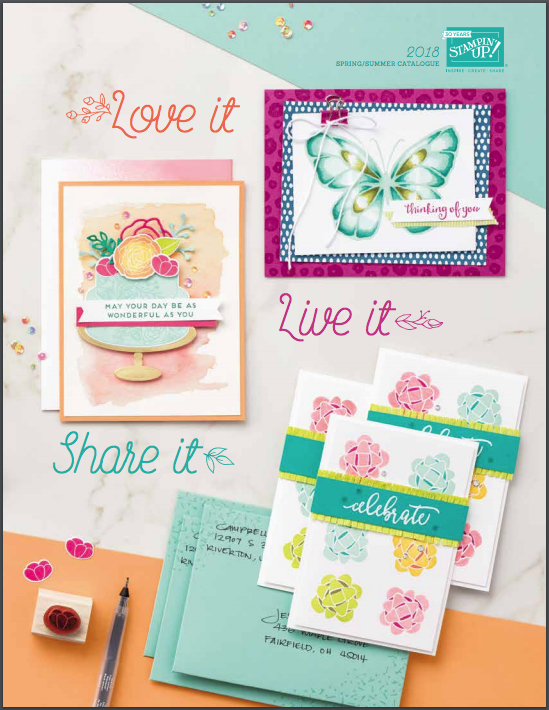 One of the best things about the new year is a brand new Stampin' Up! 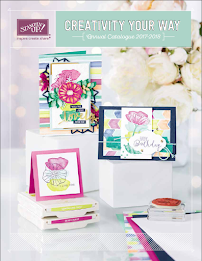 Seasonal Catalogue and the amazing Sale-a-Bration (SAB) promotion which runs from 6th January until the 31st March. 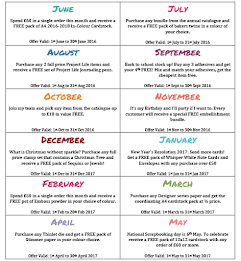 During SAB you can earn free product for every £45 you spend! 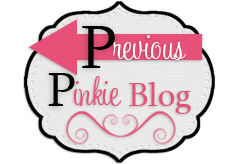 To celebrate the upcoming promotion, the Pinkies are taking part in a blog hop to show you just how many beautiful things you can make using all the lovely free stuff! 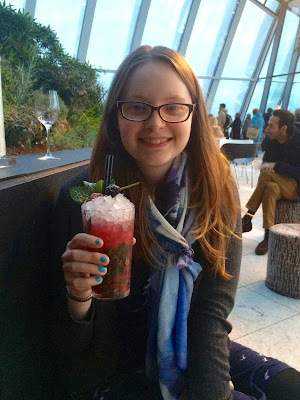 If you are joining me from Christa's Blog, welcome! Wasn't her creation stunning? I am completely inspired by all my fellow Pinkies' creative talents and I hope that you enjoy reading about my creation. 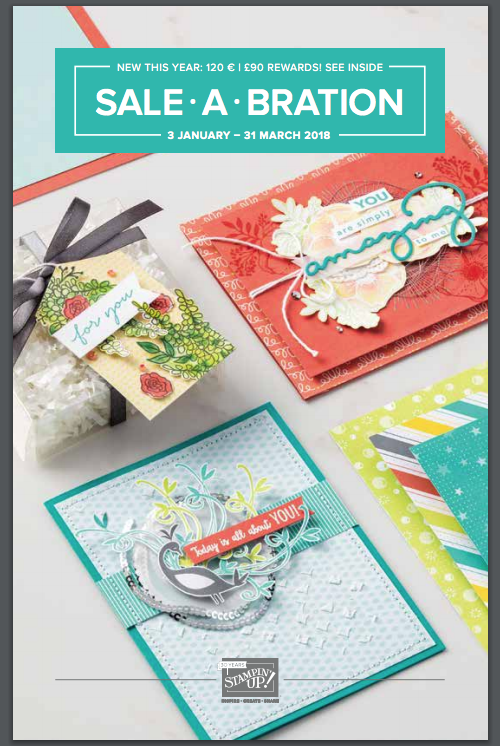 I chose to use my favourite item from the SAB catalogue, the Irresistibly yours specialty designer series paper. This paper has a glossy white pattern on top of a white background, its perfect for colouring and is absolutely gorgeous! I coloured the paper in using So Saffron ink and a sponge dauber and as you can see from the photo the effect is beautiful! With all the presents I'm sure you received over Christmas I bet you are looking for a simple thank you card design just like me! 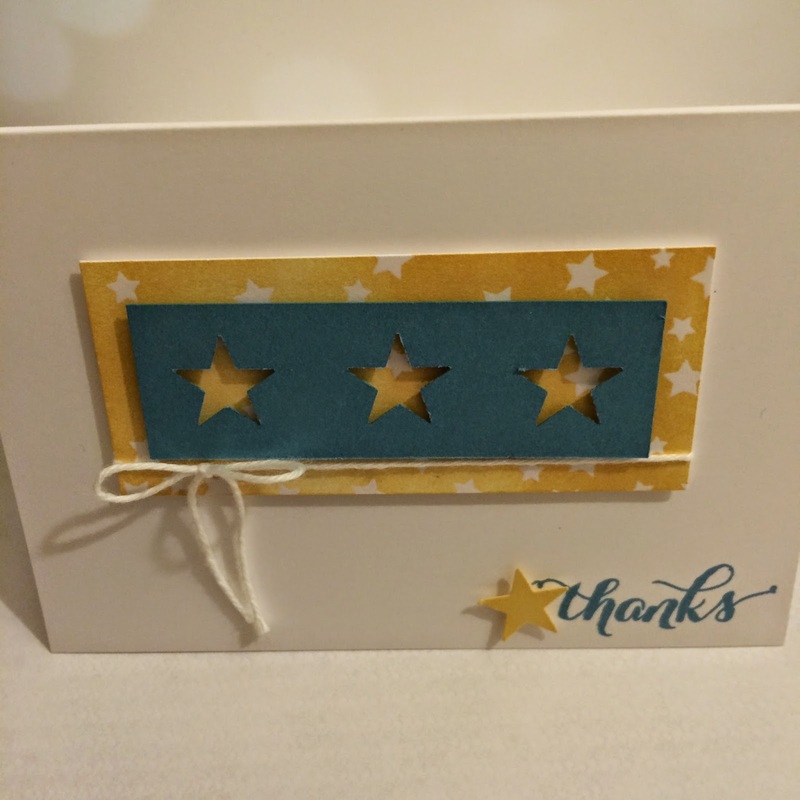 I saw a card on Pinterest a while ago and when I saw the star pattern on this paper I knew exactly what I wanted to make for my Thank you cards! Inside of the card I have written "You're a star!" just to make sure that everyone who bought me a present knows just how grateful I am for being remembered! After colouring the paper using So Saffron Ink, I cut out 3 stars from a piece of Marina Mist cardstock using the star punch from the Itty Bitty punch set. I attached the cardstock to the star paper using Stampin' dimensionals and followed this by adding a bow with cotton thread. 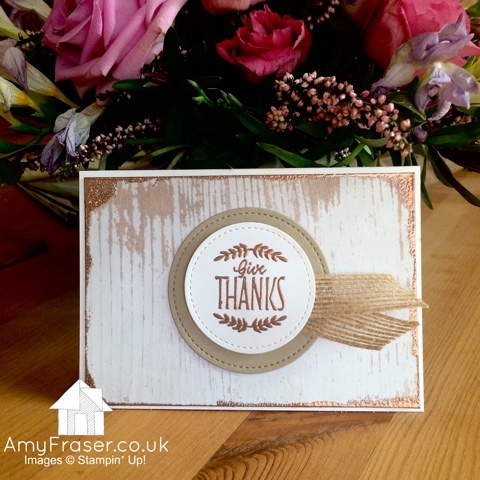 I then attached this to a card blank and stamped a thanks sentiment from the Another Thank You stamp set in Marina Mist. I finished off the card by adding a So Saffron Star next to the sentiment! 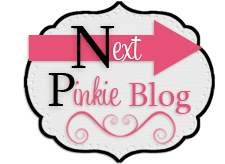 I hope you enjoyed joining me for this part of the Pinkies Blog Hop and I hope you keep hopping to the next lovely lady Erna who has created something wonderful to inspire you! Just click next in the link below! Had the same idea! Very nice card! Spring Summer and SAB Catalogue Launch!